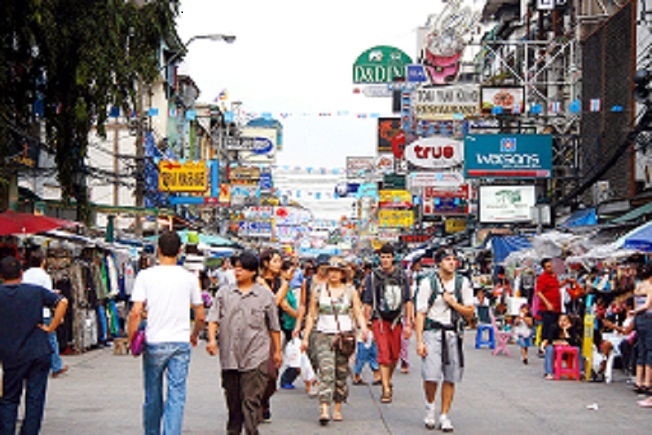 Tourists: Where to get travel, accident insurance in Thailand? Bob & Paula in Perth asks: We are pensioners from Australia, and visit Phuket regularlly, staying for months at a time. We were wondering if there is any travel insurance we could get in Thailand that would cover us for accidents and hospital visits. Could you recommend anything? The Phuket News answers: Personal, travel insurance for individual tourists is not so easy to find at banks and agencies in Thailand. Usually, travel insurance policies through agents are designed cover an entire tour group, while specific trips with licensed companies, for island boat transfer services for example, will also include insurance coverage for passengers. You should inquire with each licensed company the specifics of their insurance policy. For tourists in general, we can suggest contacting the Tourism Authority of Thailand (TAT), who does offer various travel insurance policies for tourists. TAT Phuket office replied: TAT policy packages under the scheme “Thailand Travel Shield” are offered in conjunction with top non-life insurers as follows: Muang Thai Insurance PLC, Chao Phaya Insurance PLC, Siam City Insurance PLC and Krungthai Panich Insurance PLC. Tourists travelling to Thailand can aquire the insurance online, which is convenient and provides instant coverage upon arriving to the kingdom. After the online payment has been made and confirmed, the insurance policy details will be sent to the insured’s e-mail immediately. Packages start from B650, and go up to B12k for the most expensive package, which has a maximum payout of B1,000,000, and with full coverage for accidents, trip cancellations, loss or damage to baggage/personal belongings and accommodation fees in the event the airport closes, as well as 24-hour emergency assistance by Allianz Global Assistance. The top package also covers loss of life, dismemberment (hand, foot), loss of sight or total permanent disability during the trip from accident, medical expenses from accident and sickness, trip cancellation, trip curtailment, hijacking, travel delays, baggage delays, personal liability and travel assistance service. There are many options depending on the length of your trip: 1-7 days, 8-14 days, 15-30 days, 31-60 days or even an annual trip. Coverage for each trip shall start when the insured party/parties pass through inbound immigration and will carry on until the insured leaves the outbound immigration in Thailand (unless their policy expires before departure). The package is suitable for foreigners who travel to Thailand – inbound coverage every area in Thailand. Really do not understand why a tourist would want to obtain travel insurance in their destination country. This means your flights would not be covered; what if you are taken ill while changing planes in another country on your way to your destination; etc., etc. What you might need most is insurance against being murdered. I doubt the need to offer such a policy has yet been met.